CV Escrow | Ask Cynthia: Why Am I Being Asked to Pay Debts In Escrow? Ask Cynthia: Why Am I Being Asked to Pay Debts In Escrow? My lender is requiring that I pay off some credit cards and my car in escrow. Can you tell me how that works? Great question! You may already know this, but one component of qualifying for a home loan revolves around your ‘debt to income ratio.’ In turn, often mortgage lenders will require home buyers to pay off certain debts so that they can be approved for their home loan. The reason you may be paying these debts off in escrow is because if you were to pay them the ‘normal’ way (through the lender or the credit card company direct), it could take weeks before the lender could verify that they were paid in full. When the debts are paid in escrow the payments are shown on the buyer’s final escrow settlement statement, which satisfies the mortgage lender’s need to know that a debt has been paid. Debts that are commonly paid in this fashion include cars, boats, RVs, credit cards and/or any other miscellaneous consumer debt. Here’s a bit more information about the topic that will help this process go as smooth as possible. Provide the most recent statements to escrow and include the correct payment mailing address and COMPLETE account or loan number. This is helpful because the information that escrow often receives from the mortgage liner only includes partial account numbers or company names since they are pulled from your credit report. Ensure that you pay attention to the escrow closing date and when your normal monthly debt payments become may become late. This is important because when consumer debt is paid through escrow, it isn’t paid until the day of closing. For example, the check is issued on the day of closing, but it may not be mailed that day. To ensure you don’t incur any late fees, you may want to make the minimum monthly payments to avoid any late fees. The good news is that any overpayments made will be refunded by the credit card company directly to you. When escrow closes, the original checks that are made out directly to the credit card company or loan company are included in the closing package you receive. This ensures that the checks are mailed to the right company. Please make sure to double check the mailing addresses, account/loan numbers and all other important details. Once you’ve done that, put the checks in the mail immediately. Your Escrow Officer is required to follow the written instructions that your mortgage loan company provides. These instructions come with the final loan documents, just prior to closing. 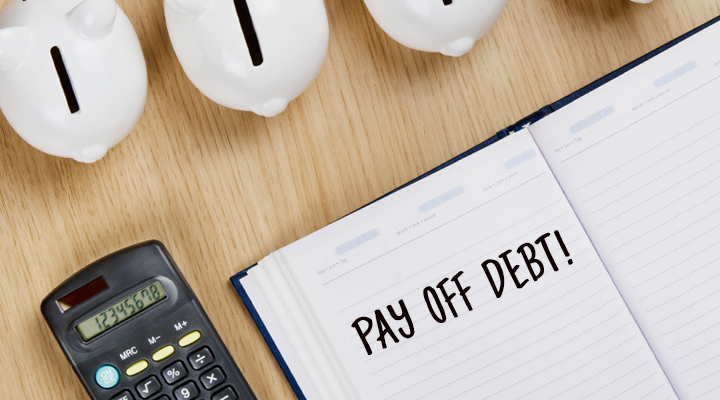 There are occasions when the debt amounts to be paid are not correct. This happens because the numbers are taken from your credit report and credit agencies can be weeks, even months, behind in reporting. If you encounter this, speak with your loan officer about what is required for the lender to change the amounts to be paid. With a little planning and good communication with your escrow officer and mortgage lender, this process should go smoothly. If you have any additional questions, please contact us. We’re here and ready to help you! Cynthia Moller is a Senior Escrow Officer at our sister company – Glen Oaks Escrow – who has a passion for education. With nearly three decades of escrow experience, she has an exceptional depth of industry knowledge that she readily offers up in her blog, “Ask Cynthia,” and to her loyal clients.